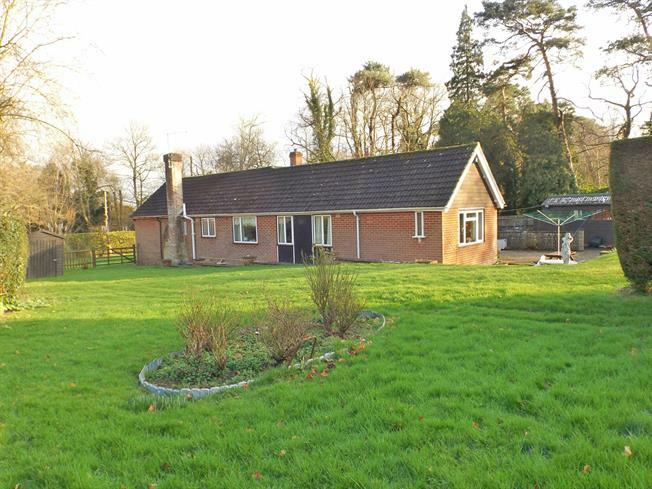 3 Bedroom Detached Bungalow For Sale in Cranbrook for Guide Price £600,000. PRICE RANGE 600,000 TO 650,000 A three bedroom detached bungalow located on the edge of Hawkhurst with garden of just under one acre. The property has benefitted from extension in the past and offers spacious accommodation across one floor - an ideal retirement property or family home. You enter into a hallway which leads to the large double aspect living room and a separate dining room with cast iron wood burner installed. To the end of the dining room is a sun room with a further door taking you into the fitted kitchen / breakfast room. A second hallway leads to the three bedrooms and family bathroom, the third bedroom has the benefit of a en-suite shower room. Outside you enter the grounds on a block paved driveway leading to ample parking, an attached garage and a further car port. The gardens are just under one acre and mostly laid to lawn with mature hedged boundaries and a few mature trees.